I loved the flavors of these tacos especially the cilantro cream. The beef brisket was a bit dry though and I wished the tortillas were warmed up. 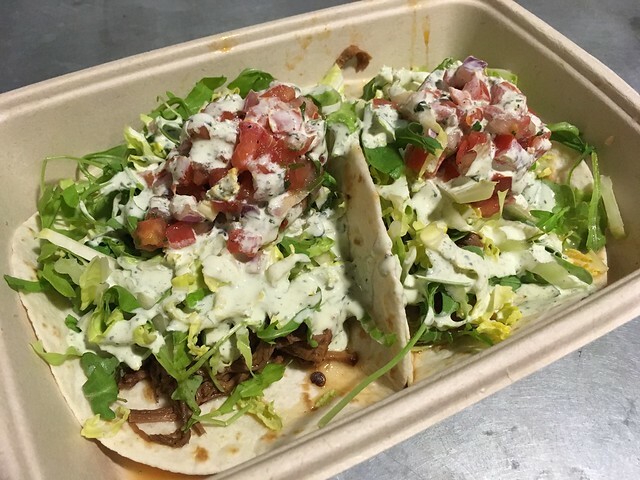 This entry was posted in Tortilla Kitchen and tagged beef, brisket, food, picodegallo, tacos by vicentesf. Bookmark the permalink.